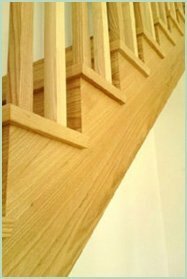 Calling all people of Worcestershire; replace your spindles, banisters or balustrades at Pear Stairs. We are a specialist staircase company providing both beautiful bespoke staircases and high quality stair parts. We cater for all tastes, and have much variety, working with both wooden and metal parts. We deliver direct to the doors of the whole of Worcestershire and beyond. 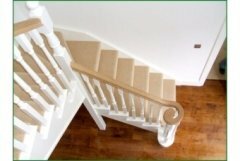 If you are looking to revitalise an old staircase, new spindles are a simple yet effective method to bring a completely new look to your home. Spindles or balusters are the long, thin pieces which hold up the banister or handrail. Any design in our range of metal and wooden spindles can transform your staircase and your home, bringing eye-catching splendour with minimal alterations. Pear Stairs’ collection includes models with classic undertones which would be becoming in any of Worcestershire’s stately homes, as well as examples of contemporary brilliance which utilise metal and wooden elements. There are two types of balustrade available in Worcestershire; rake and return. A rake balustrade ascends with the stairs whilst a return runs along a landing. The balustrade encompasses the balusters, banister and newel post, all of which can be replaced without removing the stairs themselves. Just browse our extensive collection of parts; we sell everything, right down to the screws and finishes. Along with our online store for stair parts, we also design and manufacture tailor-made staircases, including curved staircases. We are dedicated to constantly innovating our products and services, and developing a company which stands out from the crowd, just like our staircases. We have a happy team and satisfied customers, who would recommend us to all. 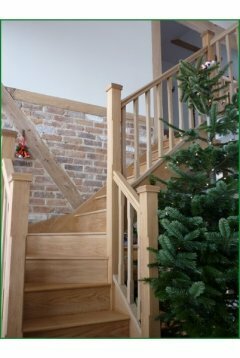 We believe Pear Stairs’ service, providing Worcestershire with elegant wooden and metal spindles, banisters and balustrades, is the best in the country, and you would be a fool not to choose us.